ASME VIII-1 Appendix 2 provides a method of sizing flanges. The calculations use three loads – HT, HG & HD and two operating conditions – seating and operating. What are these loads, how are they calculated, and where are they applied to the flange? 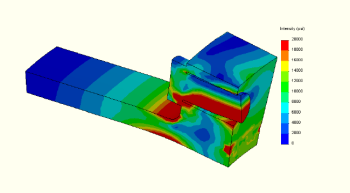 In the article below, a sample flange is calculated using ASME Appendix 2 methods and by finite element analysis (FEA) to illustrate the application of the loads and show the resulting stresses.